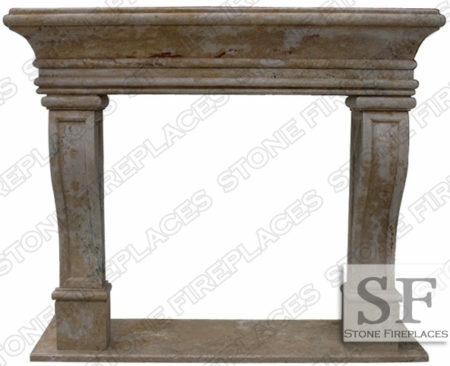 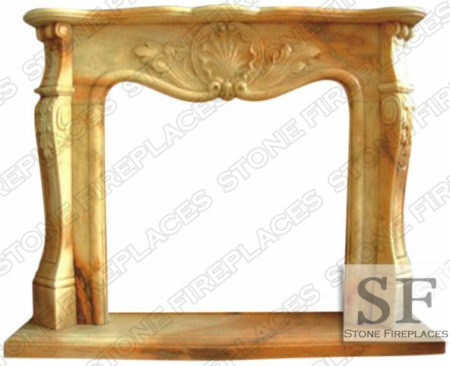 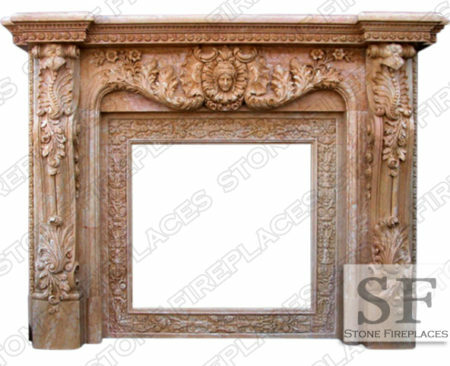 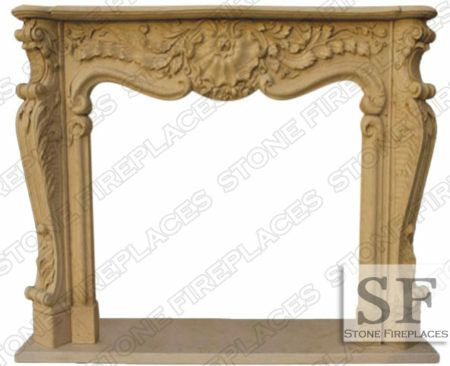 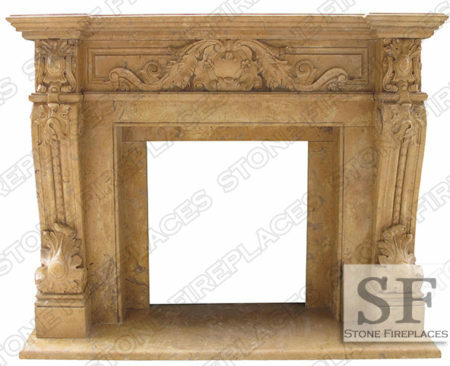 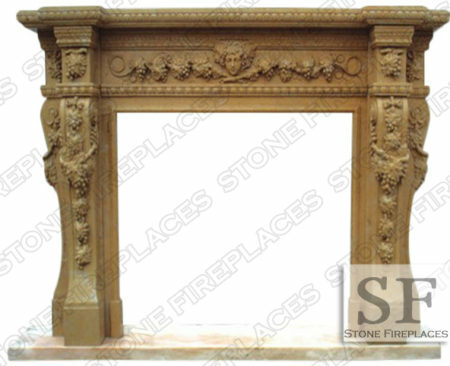 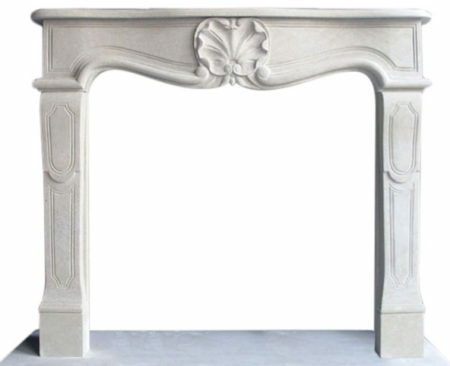 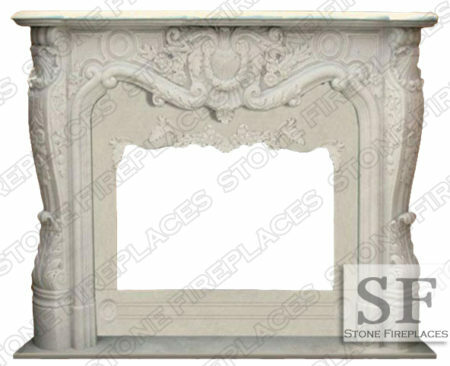 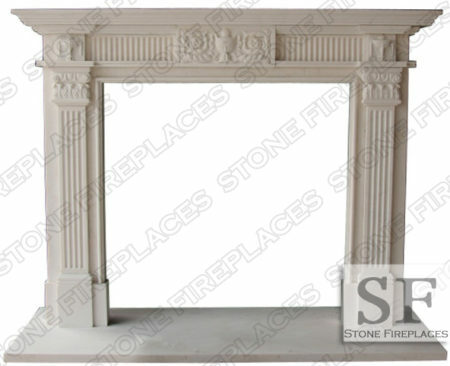 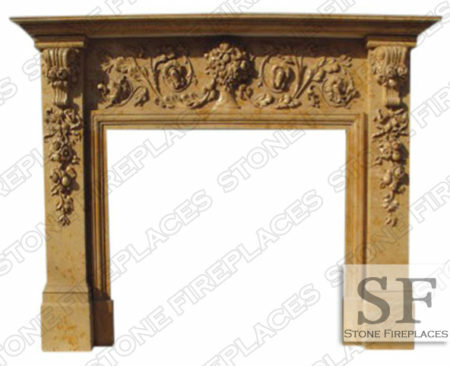 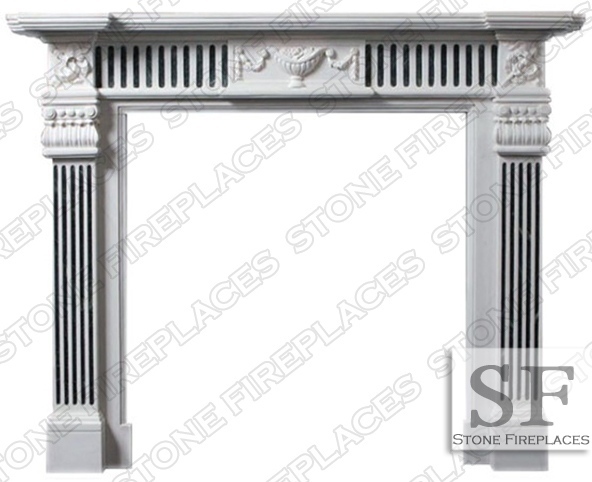 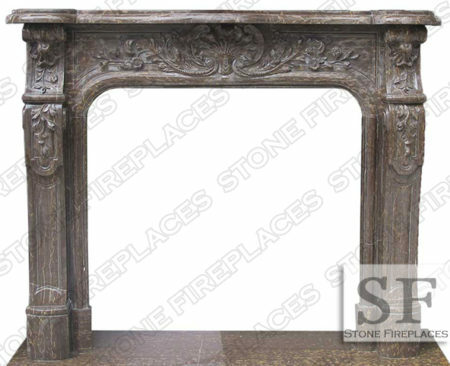 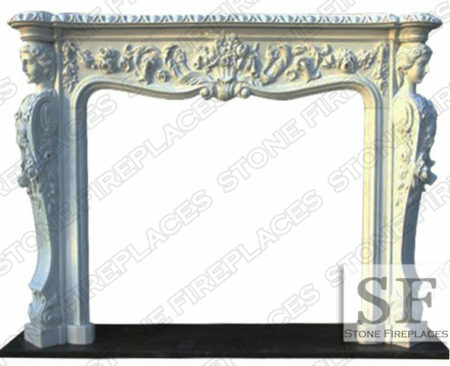 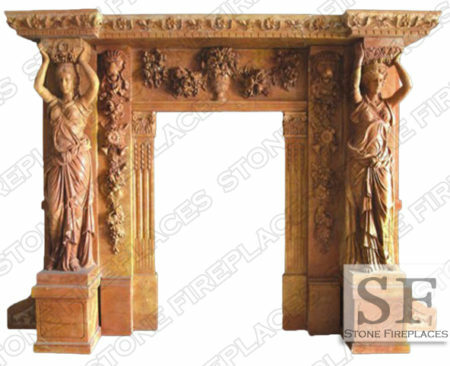 Georgia fireplace mantel is a beautiful hand carved fireplace with pilasters columns. 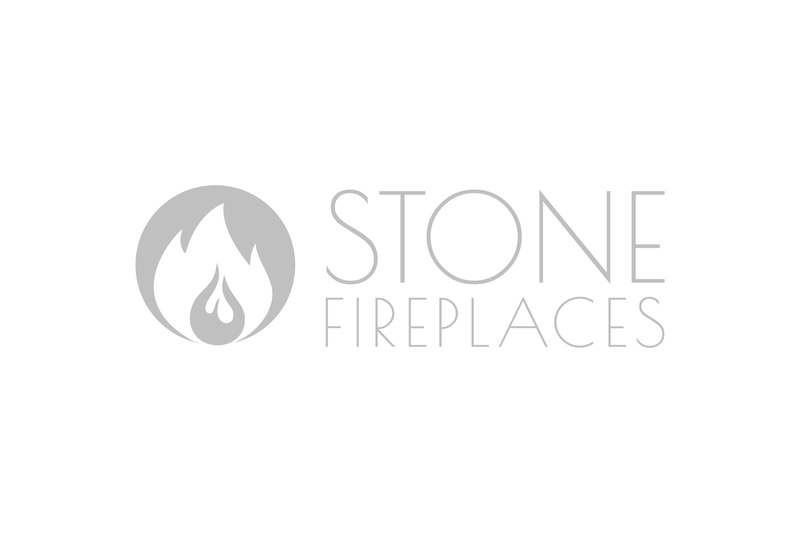 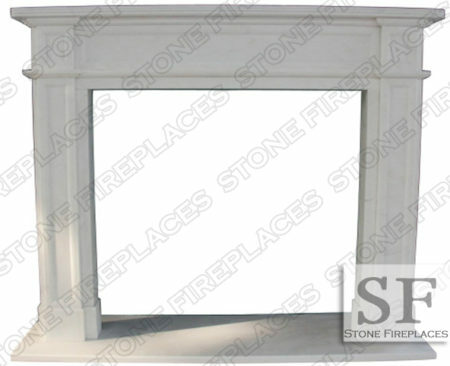 This is a two color fireplace with green and white marble. 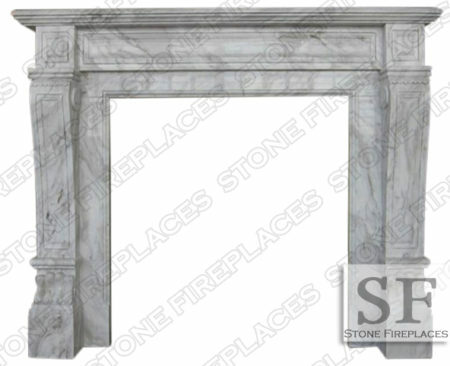 Named after the state of Georgia this surround is as regal as the state itself. 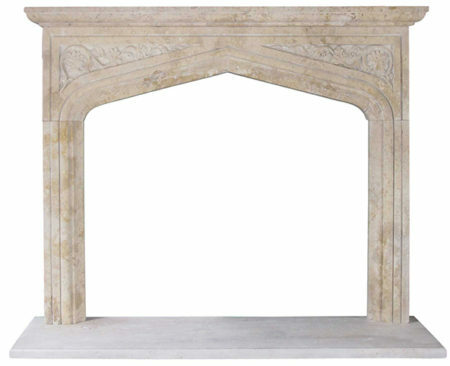 Borrowing from Georgia’s traditional architecture this piece has both historic value and regal design. 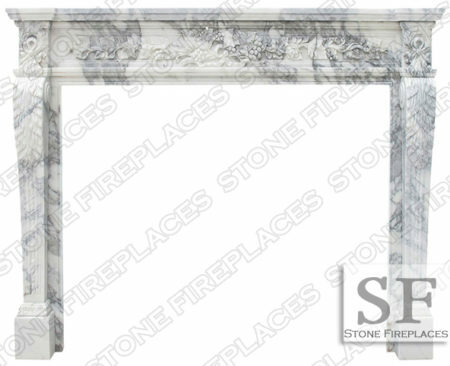 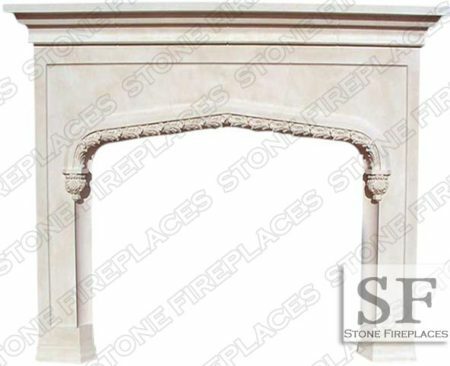 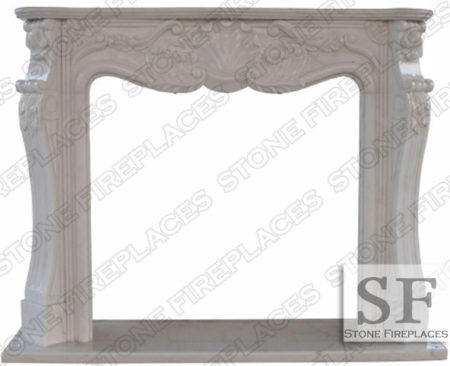 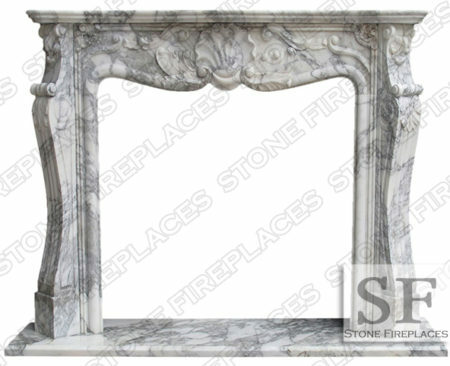 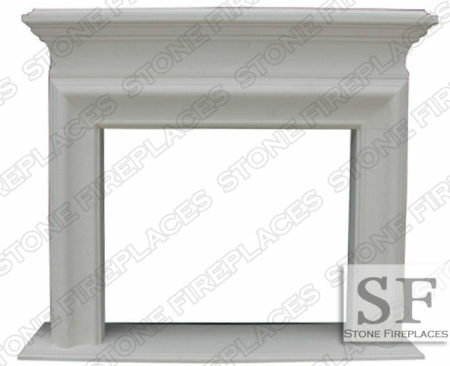 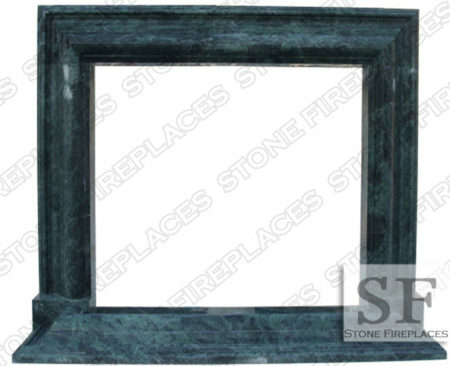 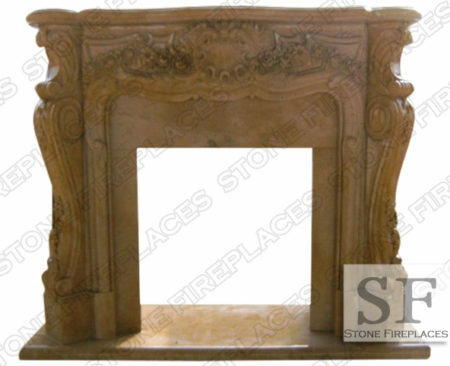 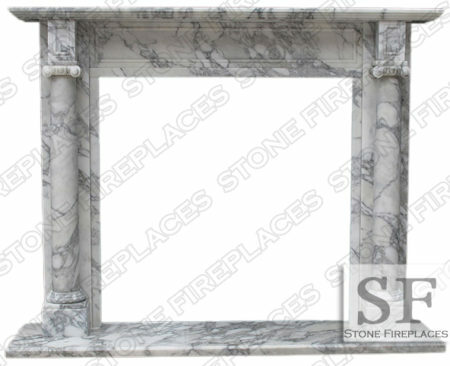 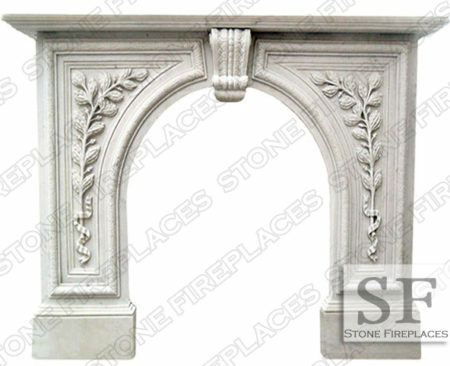 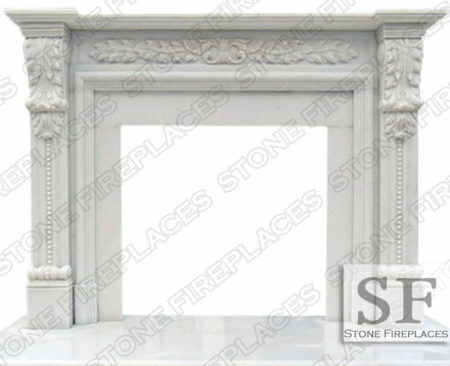 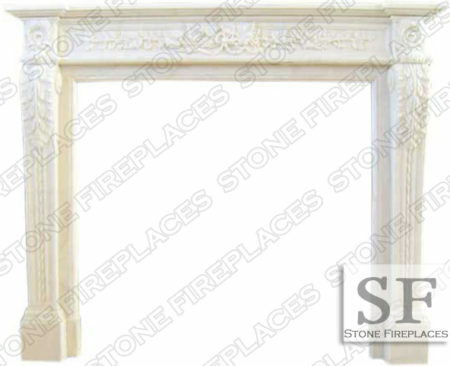 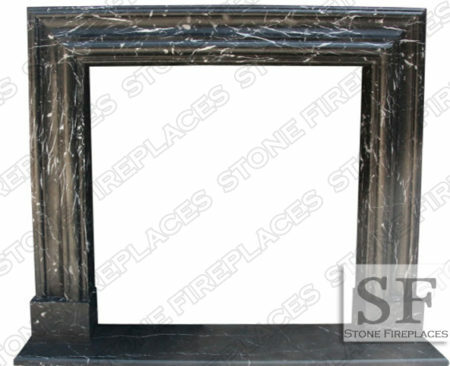 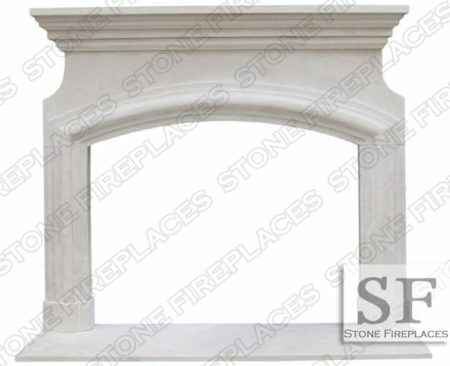 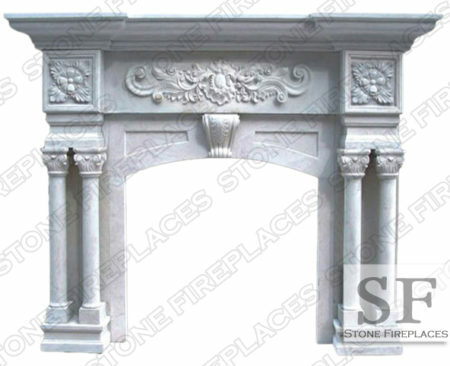 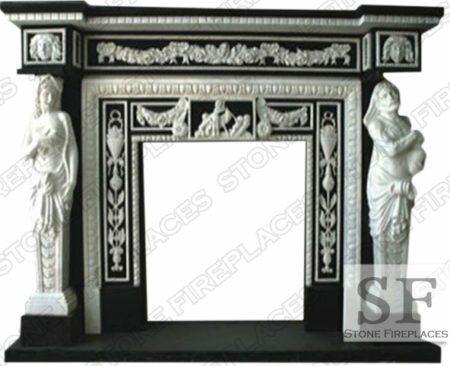 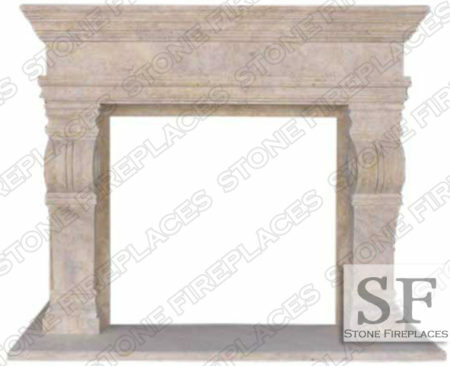 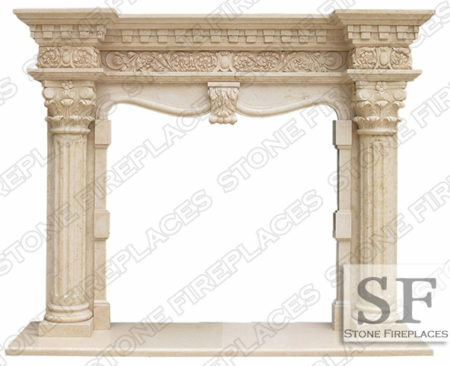 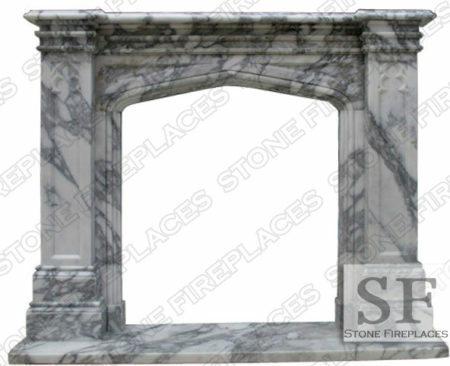 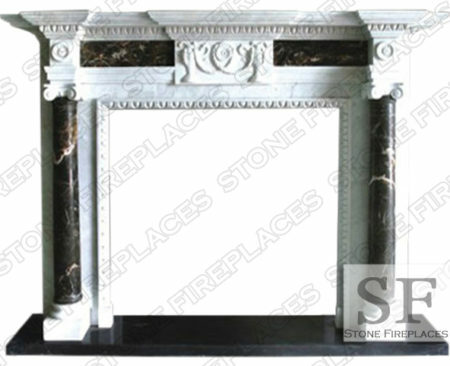 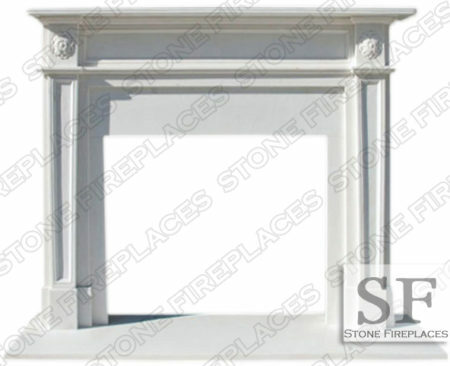 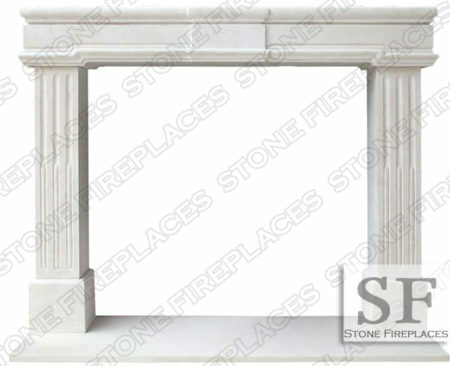 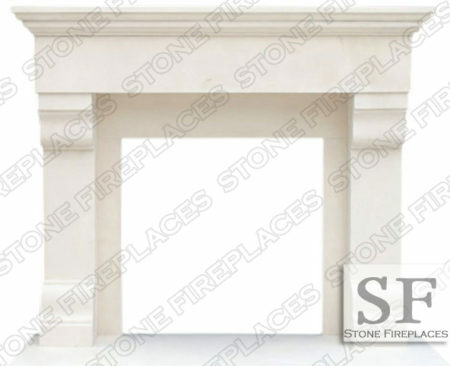 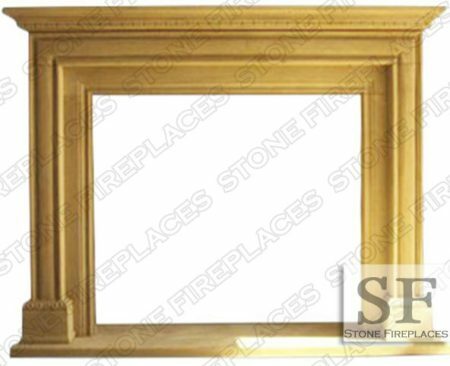 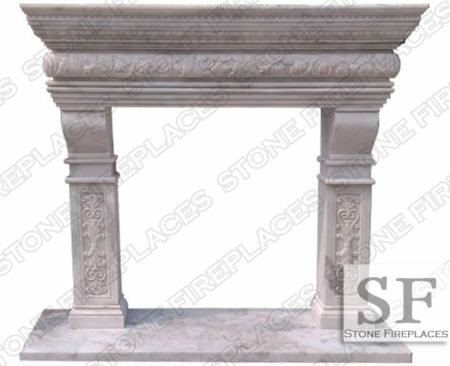 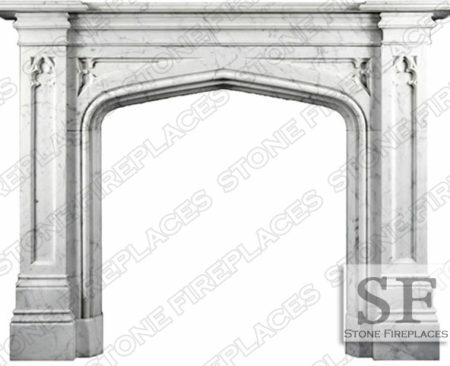 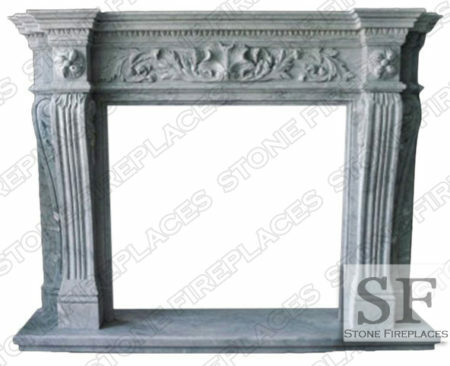 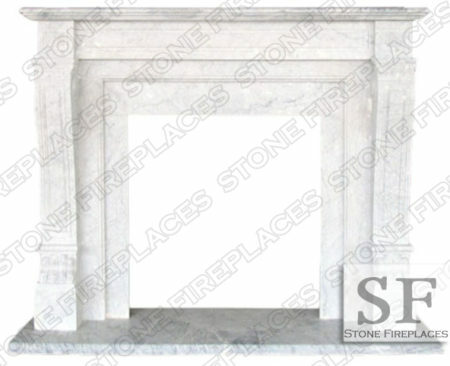 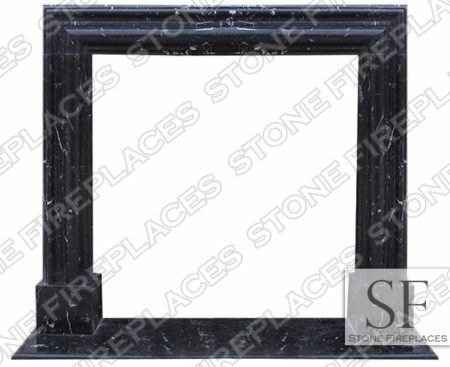 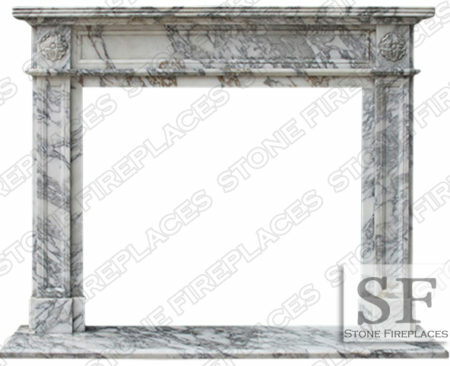 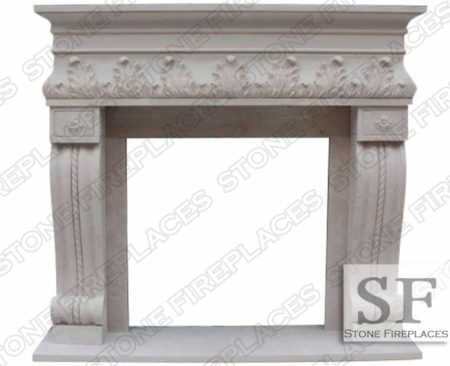 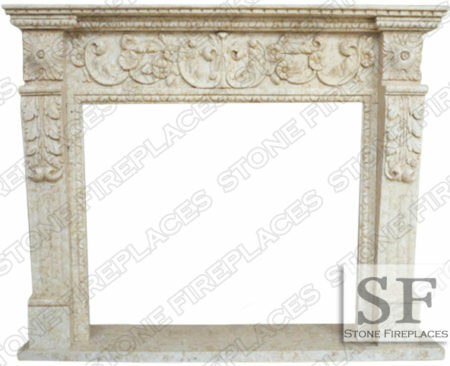 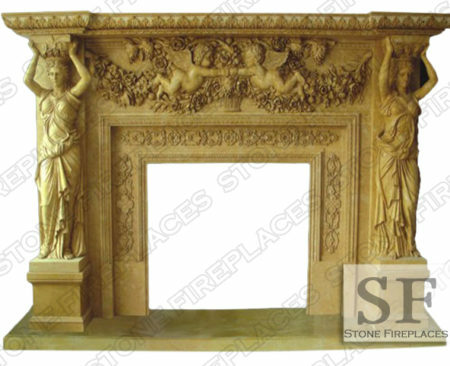 This fireplace surround can be carved from other color marble and stones. 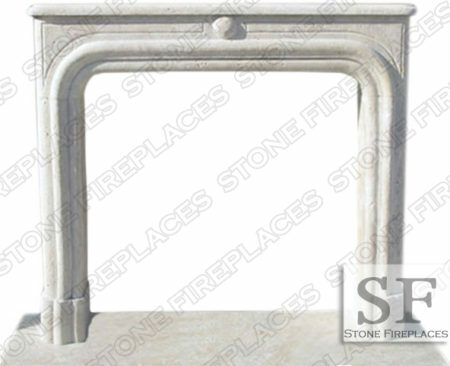 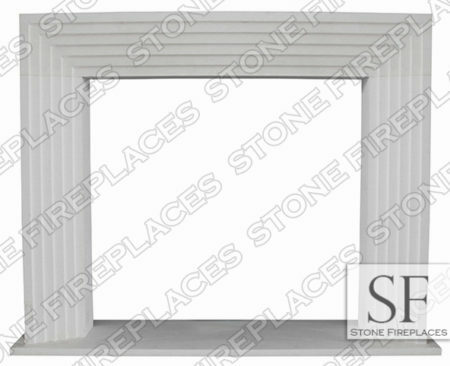 Inner panels would come up to the firebox insert or a masonry box can be built to the surround legs. 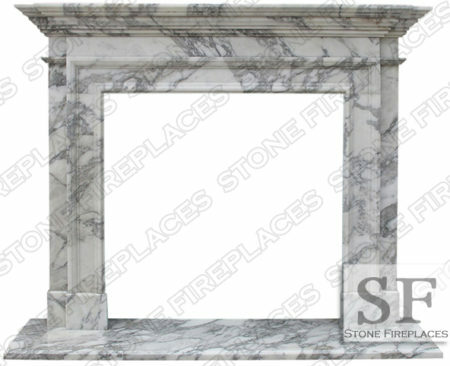 The hearth is included and is usually made from white marble.